Civil Registration is a continuous, permanent, compulsory recording of the occurrence and characteristics of vital events, like births, deaths and still births. In India the registration of births and deaths is carried out under provisions of the Registration of Birth and Death (RBD) Act, 1969 and Registrar General, India is entrusted with the responsibilities of co-ordinating and unifying the activities of the Chief Registrar of Births and Deaths. Chief Registrar of Births and Deaths in each States/UTs is the implementing authority and the registration of births and deaths is done by the local registrars appointed by the State Government under whose jurisdiction the event has taken place. It is the duty of the Chief Registrar to compile, publish and submit the Annual Statistical Report based on Civil Registration System to the State Government as well as Registrar General, India.At the National level, about 85.6% of births and 70.9% of deaths are reported to have been registered during 2013. 3. 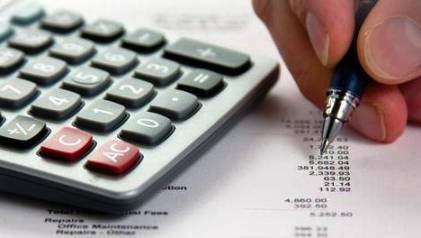 Village Accountants / Village Administrative Officers in 2 States – Karnataka and Tamil Nadu. 4. SHO/Police Officials in Jammu&Kashmir . 5. Primary School Teachers and Head Teacher Primary School in Mizoram and Nagaland respectively. 6. Circle Officer/Village Level Workers in Arunachal Pradesh. Benefits of Birth Registration and Death Registration? 2. As proof of age for employment. 3. For proof of age at marriage. 5. To establish age for purpose of enrollment in Electoral Rolls. 6. To establish age for insurance purposes. 7. For registering in National Population Register (NPR). 8. Production of death certificate for the purpose of inheritance of property and for claiming dues from insurance companies and other companies. Enter general details, Once profile has created with Civil Registration System (CRS) Account, User will see edit the following points; Forgot Password, Update Profile, and Change Password. Birth or death in the family by creating a civil registration system on ID www.crsorgi.gov.in and may apply for the certificate. However, the certificate must submit to the Registrar a copy of the papers must be within ten minutes which will certificate. District Hospital, community health Centre, primary health center, including all the applicants Registrar and Registrar all 274 online by uploading information to issue the certificate ID and password has been given. People don’t need to go public facility. Online certificate application showed a lack of awareness among the people on the first day. Not apply online. The Department of health weekdays like those certificates have arrived. Under the new process, a birth certificate and a death certificate issued on behalf of the Department of health, including online information recorded by staff of the Department.